Enjoy Ocean Breezes from this beautiful Coastal home located in Ocean to River community of Maritime Hammock at Aquarina. 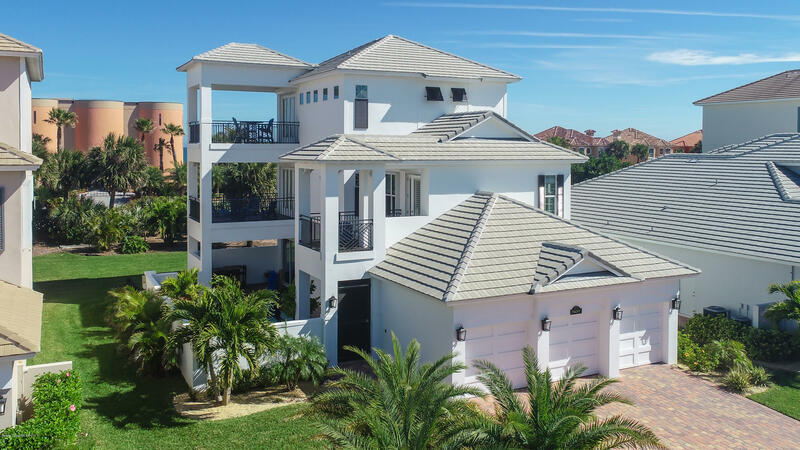 This gorgeous four bedroom, two and a half bath home features a pool with water feature, gourmet kitchen, pavered pool deck and driveway, a three car garage, elevator, spacious master suite with ocean views, decks off each floor, custom closets and many outstanding features throughout. Community amenites include, golf, tennis, beach club with sundeck and beach access, river access, fishing piers, boat ramp, a newly equipped fitness center and more. Fall in love with the resort-like lifestyle in the beachside community.